However, modern day industries and businesses are having an impact on our environment. It’s a global problem, carbon footprints are leaving tracks all over the world. It’s true that pollution, deforestation, pests and over-worked land are threatening to forever alter our beloved country as we know it. That’s why we’re doing something about it. Building and strengthening the sustainability of our agricultural practices is at the heart of our operations. The first step? Making a tangible contribution by looking after the place in which we live and work. Sustainable agriculture ensures that our properties stay in good shape both economically as well as environmentally, aligning our business so that it’s always in harmony with our surroundings. 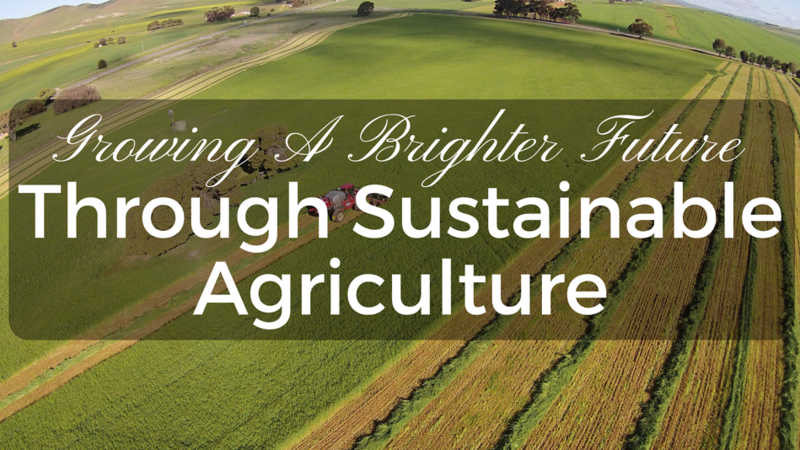 There are two main ways that we’re incorporating sustainable agriculture into the way we work. One of the most financially rewarding aspects of sustainable agriculture is the fact that many of our processes have become self-sufficient. We want to build the business to a point where we don’t need to rely on any external factors, continuing to operate without being too much affected by outside factors. While there will always be external sources that affect us, like the price of cattle, being as self-sufficient as possible goes a long way towards working in harmony with our environment. To give you a better idea of how we’re doing it, here are some of the main ways we are building our own self-sufficiency. Rather than relying completely on others to sustain our cattle, we supply our livestock with feed we mainly grow ourselves. The main reasoning behind this all came down to quality control - we want to ensure that what we give our livestock is the very best. More than that, making our own fodder reduces the reliance we have on ever-changing market prices, as well as the potential for delayed/poor quality fodder deliveries. Our livestock is our top priority, so being in higher control of what we feed them gives us a peace of mind that can only come with having healthy and happy cattle. What better way is there to ensure the welfare of our animals than by being 100% involved in their transportation? Having our own trucks allows us to ensure that our livestock are given proper care and consideration whenever they need to be moved. It means that we can maintain a stricter control over their health and well-being when they’re going from A to B. By using our own transport, we remove the need to rely on outside contractors - who might not be as cost-effective or of high enough quality. Now, instead of having to wait for an available truck to come to us, we can transport our cattle exactly when and where we need to. In South Australia, we have no shortage of sunshine. So, we figured, why not use it? Nearly all of our bore pumps are solar powered now. We no longer need to rely on the use of diesel or electricity to get our water. This is a fantastic step in the direction of becoming a fully self-sufficient business. We are also in the process of equipping all of our major facilities with solar power as well. This means that our feedlot, transit facility, houses, workshop and office should all be running off the grid soon, further transforming us into a fully sustainable and self-reliant business. Keeping a watchful eye on the health and quality of our cattle is a major part of our operations - it made sense to us to breed our own. Instead of relying on others to supplement our feedlot and trading programs, we run our own husbandry operation and supply our herds from that. This goes a long way towards being self-sufficient and sustainable as it eliminates the need for us to rely on external sources to add more to our herds. It also allows us to maintain a stricter quality control over the breeding of our cattle, so we’re 100% confident of their health and happiness. It’s no secret that synthetic fertiliser can have a damaging effect on the environment. But, when we have no shortage of cattle, why would we buy fertiliser when we have a never ending supply of cow manure? Manure is natural and great for the environment - with every application of manure compost, the soil health improves. It also helps to make us more sustainable, giving us a way of utilising our livestocks’ waste efficiently. 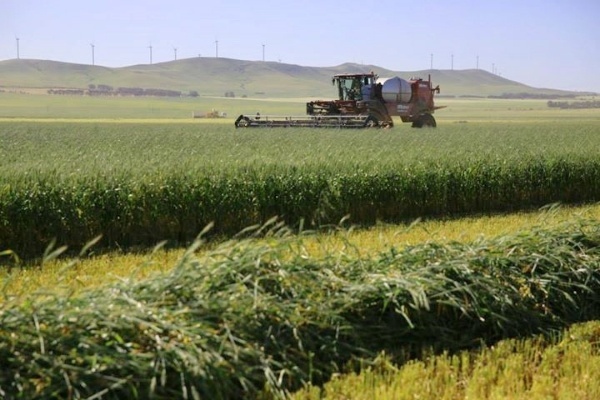 In South Australia, one of the biggest issues for agricultural businesses like us is finding enough water to run our operations - without depleting the state’s supply. 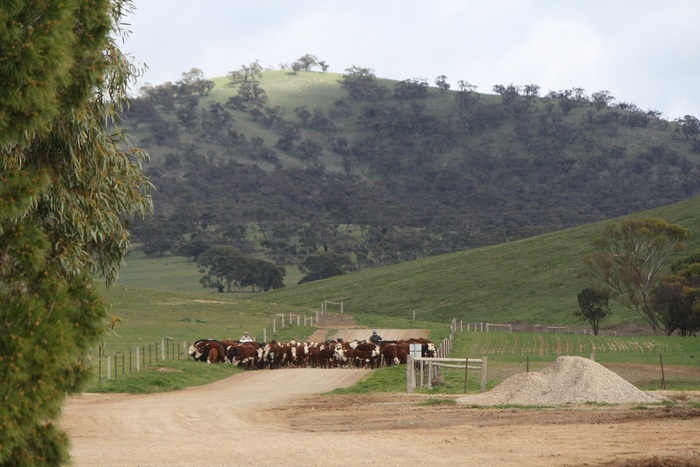 At Princess Royal Station, we have a rainwater catchment which allows us to manage our water levels and ensure that we always have enough water to sustain our livestock. Being sustainable in this way becomes particularly important when we have some of that lovely South Australian heat. Without a rainwater catchment, it would be hard to manage the increased water needs. Another issue at the forefront of our minds is that our feedlot drains a lot of water when it’s in use. But, rather than letting it sink into the ground, we use it for other activities around the farm, making it go further and minimising our waste. We’re currently using it to water down roadways and wash our machinery, but we also have plans to filter it and use it for irrigation in nearby pastures. Incorporating sustainable agriculture practices into our operations is just part one of our two-armed approach to helping the environment. The second? Using sustainable techniques to manage our farmlands and livestock. Working in this way benefits us as well as our environment - the healthier the land, the better it is for our livestock. The more nourished and happier our livestock is, the finer quality produce they become. Keeping our pastures in good condition is incredibly important to the health and wellbeing of our cattle - not to mention to the land. One of the ways that we ensure our land is in good nick is by conducting rotational grazing - which is the method of shifting livestock between paddocks, in order give the land time to recover and rejuvenate. In doing this, we allow the grass to regrow instead of drying up, safeguarding against erosion. Another serious issue that we’re facing head-on with our sustainable practices is erosion. Erosion is a serious issue for any farm as it weakens and cracks the land, making it unusable for any kind of agricultural purposes. To prevent this from occurring, we reduce stock numbers in areas where we find it or, if it appears to be quite a serious case, we will clear the area entirely. This allows the land to regrow and replenish itself so that it can be used again at a later date. To help our land replenish itself with the right kind of nutrients, we put our crops on rotation. Simply put, rotating our crops means that our land stays fertile and packed full of goodness, guarding against weeds, pests and lessening the erosion potential. Our crop rotation programs helps us to ensure that we don’t overwork our land, so that we can continue to use it in the years to come. At Princess Royal Station, innovation is built into everything we do. Keeping ourselves at the forefront of farming technology, machinery and practices means that we can now use technology to help us accurately sow and spray our crops. This is hugely helpful to our operations and our sustainability, as these new and improved methods have far less wastage and associated costs, spreading our resources further. When it comes to sustainability and promoting the welfare of the environment, controlling pests, vermin and feral animals is vital. At Princess Royal Station, we dedicate a lot of time and effort into removing these nuisances. Pests and vermin often carry diseases - ones that can easily contaminate our water supply. We are truly fortunate to live and work in such a stunning setting. South Australia is a place like no other, and we’re committed to keeping it that way. Through our dedication to innovation and environmental conservation, we help to ensure that our land - and our surrounding community - grows and prospers. Would you like to learn more about our environmental policies and practices? If so, you can learn more about it here.